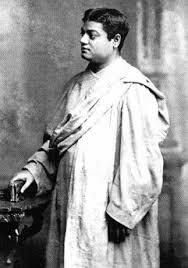 Swami Vivekananda, named Narendranath Dutta (Naren) in childhood, was born on 12 January 1863 to Biswanath Dutta, a well-known lawyer in Calcutta and Bhuvaneswari Devi, a very intelligent and pious lady. Narendranath was upright and fearless even as a child. He learnt the Hindu epics and Puranas from his mother who was a good story-teller. He was an accomplished musician, good at wrestling and other sports, compassionate to others, had a ready wit and a rational frame of mind. He was a natural leader and used to role-play as a king with his friends. Naren was adept at meditation from childhood itself illustrated by an incdent when he was oblivious of all the clamor that his friends made when a snake approached him while he was meditating. As a student of philosophy, the question of God was very much on his mind. Is there a God? If there is a God, what is He like? What is man’s relationship with Him? Did He create this world which is so full of anomalies? He discussed these questions with many, but no one could give him satisfactory answers. He looked to persons who could say they had seen God, but found none. Meanwhile, Keshab Sen had become the head of the Brahmo Movement. He was a great orator and many young people, attracted by his oratory, enrolled as members of the Brahmo Samaj. Naren also did the same, but soon he began to feel it did not quite touch the core of his search. As the days passed, Naren began to grow restless about the various riddles that religion presented to him. He particularly wanted to meet a person who could talk about God with the authority of personal experience. Naren passed Financial Accounting (F.A.) and Bachelor of Arts (B.A.) examinations from the General Assembly’s Institution (now Scottish Church College). William Hastie, principal of the College, was highly impressed by Naren’s brilliance and philosophical insight. It was from Mr. Hastie that Naren first heard of Sri Ramakrishna as an illustration during a class on William Wordsworth’s “Excursion” that refers to a state of trance. Finally, he visited Sri Ramakrishna at Dakshineswar and he was charmed to see Sri Ramakrishna’s renunciation and love for God. He began visiting Sri Ramakrishna often and during one of these early meetings, Naren asked him straightaway if he had seen God. Sri Ramakrishna replied in the affirmative adding that if Naren so wished, he could even show God to him. Naren began to watch Sri Ramakrishna very closely and after some years of testing and studying him, he was left in no doubt that Sri Ramakrishna was no ordinary man. During Sri Ramakrishna’s illness at Shyampukur and Cossipore, a group of young men nursed him while receiving spiritual guidance from him. Sri Ramakrishna had wanted them to take up monastic life and long before his illness he even gave them ocher robes (worn by monks). After his passing way, these young men accordingly founded a monastery at Baranagar and began to live together practicing various spiritual disciplines and only subsisting upon what they received through begging of alms. They took the formal vows of a monastic life a few months later and took up monastic names as per the tradition. Thus Narendranath became Swami Vivekananda. 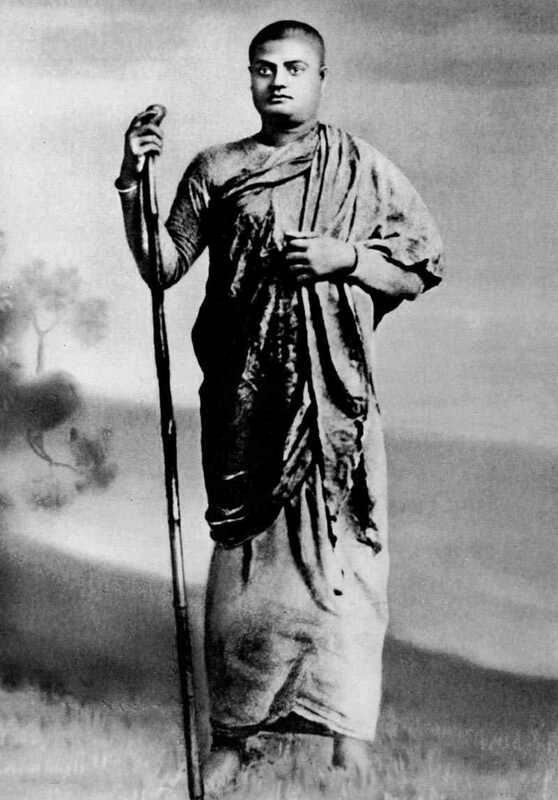 Swami Vivekananda traveled extensively through India, often on foot. He was shocked to see the poor and degraded condition of the masses and the callousness of the so-called educated elite. He was the first religious leader in India to understand that the real cause of India’s downfall was the neglect of the masses who needed two kinds of knowledge: secular knowledge to improve their economic condition, and spiritual knowledge to infuse in them faith in themselves and strengthen their moral sense. The solution he found was through education of the masses. Some princes, scholars and young men dedicated themselves to the ideas Swamiji propounded. But most of the so-called leaders of the society ignored him: Who is he? A mere wandering monk! There are thousands of such monks all over the country. Why should we pay any special attention to him? 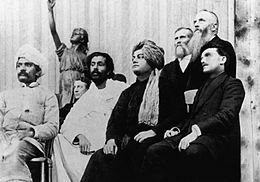 The followers of Swami Vivekananda implored him to attend the Parliament of Religions in Chicago to represent Hinduism. 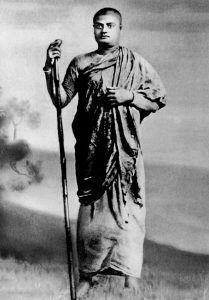 Swami was at first reluctant, but he later felt that if he would make some impression in the West, people back at home in India, who always went by the opinion of Western critics, would then give him a respectful hearing. Moreover he could get some financial help from the West for the uplift of Indian masses. So with the help of funds collected by disciples of Madras (Chennai) and the raja (king) of Khetri, he went to the USA to attend the Parliament of Religions in Chicago in 1893. After some initial hiccups overcome by help of some American friends, he could finally attend the conference where he received a thundering applause. Swami made a tremendous impression in the USA and then in England. The press paid him the highest tributes as an exponent of India’s age-old values; overnight he became a great national hero in India. Suddenly it was brought home to the elite and masses in India that there must be something in Indian thought that the Western intelligentsia felt compelled to admire. This was the starting point of the Indian renaissance one hears about. Many national leaders of India during that time had drawn inspiration from Swami Vivekananda. For the Western world, Vivekananda’s message, through numerous lectures, provided a new insight into the meaning of religion and culture. A harmonious understanding of different faiths of the world was presented to them. Also through Vivekananda, it was learned that science and religion, reason and faith, work and worship are complementary disciplines. 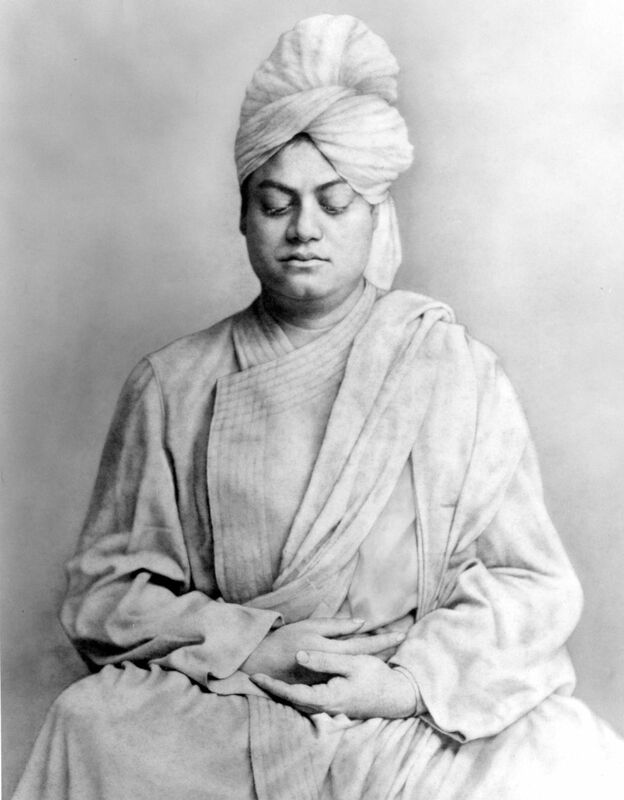 His work in the West took concrete shape in the form of various Vedanta Societies/ Vedanta Centers established in the different Western countries where from the divine fragrance of the Indian spirituality is being steadily spread around. 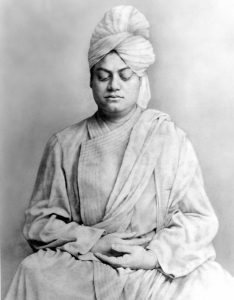 Many Western followers of Swami Vivekananda became his disciples and led an exemplary life of devotion to God and service to humanity. 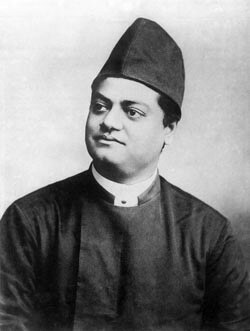 Soon after his return to Kolkata, Swami Vivekananda founded on 1 May 1897 a unique type of organization known as Ramakrishna Mission, in which monks and lay people would jointly undertake propagation of Practical Vedanta, and various forms of social service, such as running hospitals, schools, colleges, hostels, rural development centers etc., and conducting massive relief and rehabilitation work for victims of earthquakes, cyclones and other calamities, in different parts of India and other countries. In early 1898, Swami Vivekananda acquired a large plot of land on the western bank of the Ganga at a place called Belur (near Kolkata) to have a permanent abode for the monastery of Ramakrishna Order originally started at Baranagar, and got it registered as Ramakrishna Math after a couple of years. Here Swami established a new, universal pattern of monastic life which adapts ancient monastic ideals to the conditions of modern life giving equal importance to personal illumination and social service, open to all men without any distinction of religion, race or caste. June-August At Thousand Island Park on St. Lawrence river, N.Y.